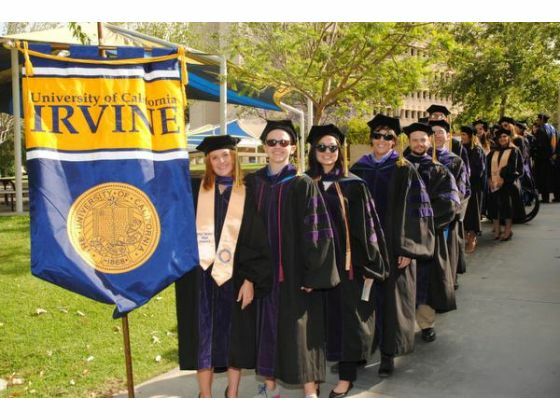 University of California, Irvine School of Law - Find Your LL.M. The program is a one-year, full-time, 24-credit course of study in advanced legal topics, designed primarily for lawyers trained outside of the United States. Students are required to take four courses: Introduction to American Law; Research, Analysis, and Writing in American Law; American Legal Practice in Context; and Professional Responsibility, Globalization, and the Legal Profession in the United States. For the remainder of their courses, students select from a broad range of courses across the upper-level curriculum. Dedicated staff are available to assist students in planning their course of study and, if desired, ensuring that students’ coursework meets the eligibility requirements of the California, New York, or other state bars. Qualified applicants will have been awarded their home-country law degree prior to matriculation in the program and must demonstrate English language fluency sufficient to engage in the rigorous study of American law. During the initial years of the program, 20-30 LL.M. students will be enrolled. Students in our graduate degree programs must have a high level of English proficiency in reading, writing, speaking, and listening. The required minimum scores are 100 iBT (TOEFL) or 7.0 (IELTS). Most admitted students have scores above the required minimum. The English test must be taken before January 31, and must be sent directly from testing institutions to the UC Irvine School of Law. If an applicant has taken multiple tests, photocopies of all results must be submitted with the application. An interview via Skype or in-person (if in California) is required and will be scheduled following submission of formal application. Unless both of the exceptions listed below apply, applicants must submit official, current TOEFL or IELTS scores as an integral part of their application. Only applicants who (i) are residents of Australia, Canada (other than Quebec), New Zealand, Ireland, the United Kingdom, or the United States AND (ii) who have completed a rigorous full-time program of at least (3) three years of post-secondary education in one of these countries are not required to submit English test scores. You are required to upload a resume, verification of a home-country law degree (scanned copy of a transcript and/or diploma), and a statement of purpose. In preparing your statement of purpose in Microsoft Word, please format with 12-point font and one-inch margins. Please also double-space, and most importantly, include your name in the top header of each page. Your statement should be a maximum of 2-3 pages. The Admissions Committee will not read beyond the stated limit. Please note that all of your materials, including transcripts and letters of recommendation, must be translated into English. While all official academic records must be issued in their original language, if they are not in English they must be accompanied by English translations. If the institution does not offer English translation, it is the applicant’s responsibility to make sure an English translation is provided. The translation may be done by anyone as long as it is a literal translation, and it need not be certified. Please note that UC Irvine School of Law will not accept revisions to the required documents once the application has been submitted. As a part of the application process for the LL.M. program we may conduct a short interview with you to seek additional information about your interpersonal and communication skills. Once you have completed your application, we will contact you to schedule an interview via Skype or in person (if you are in southern California). If you have questions about UCI Law's LL.M. admissions process, please contact us by phone at (949) 824-5335 or by email at LLM-admissions@law.uci.edu. Once you accept UCI Law’s offer of admission, the UCI International Center will issue a certificate of eligibility, usually called an I-20. You will use this certificate, also known as a visa document, to apply for a student visa at a U.S. Embassy or Consulate. After your student visa is issued, you may make plans to come to the U.S. We strongly encourage you to make an appointment at the Embassy or Consulate well in advance of the date you intend to travel to the U.S., as the process of issuing a visa can take a long time. For more detailed information or to ask questions, please see the International Center web page or contact them at 1-949-824-7249.
International students admitted to the LL.M. program will be required to document their financial support for their studies in the U.S. for visa purposes. This process is not part of the application for admission. For all matters concerning visas, please consult with the UCI International Center. Other official fees to attend UCI include premiums for the Student Health Insurance Plan, which are approximately $4,300 per year. (The health insurance premiums may be waived for qualified students; click here for more information about health insurance fees and waivers.) Additionally, the university estimates that a student can expect to incur living expenses of approximately $20,000 for the year. Note that costs and fees vary according to individual circumstances and are subject to change. Students are primarily responsible for funding their own LL.M. degrees. Financial aid funds offered by the Law School are extremely limited. Partial scholarships based on merit may be offered to a few very outstanding LL.M. applicants each year. Limited partial scholarships may also be available to qualified LL.M. applicants from less developed countries. There is no process for applying for these scholarships. If you are offered a scholarship, this information will be included in your admission offer. Applicants are encouraged to research and apply for outside scholarships to help defray the cost of attending the LL.M. program. Below is information we have gathered about possible funding sources. This list is not exhaustive, and we strongly encourage applicants to conduct their own research and explore funding in their home countries. Each state (and the District of Columbia) has its own licensing rules to practice law in that state. With just a few exceptions, all states require that applicants: (a) pass a general bar exam; (b) pass the Multistate Professional Responsibility Exam (MPRE); and (c) be found to have good moral character. Some states have additional requirements that must be met before an applicant can be licensed to practice. Historically, most LL.M. candidates take the New York or California bar examinations. Detailed information on admission to those states is listed below. Click here if you are interested in taking the bar exam in another state. Please be aware that earning an LL.M. does not guarantee eligibility to sit for a bar exam in the United States. State Bars, and not UCI School of Law, determine eligibility to sit for a bar exam. Students should consult the individual websites of the State Bar in which they intend to take the bar exam, and carefully follow the instructions posted there. The information listed below is for informational purposes only. There are a number of requirements that a candidate must meet before being admitted to the California State Bar. Some of the requirements apply to every applicant, and others apply only to some applicants. Please read the following carefully. 1. 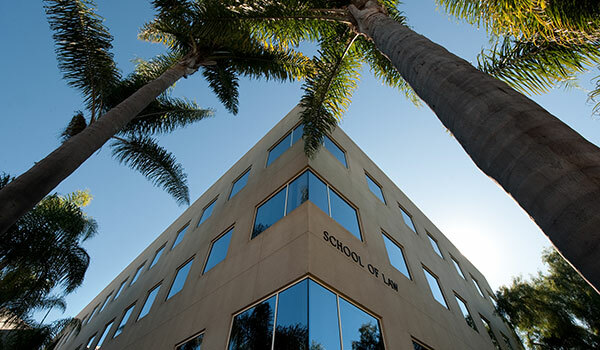 Where is the School of Law located on the UC Irvine campus? The Law School and Law Library are located at 401 East Peltason Drive, in buildings at East Peltason and Campus Drive. 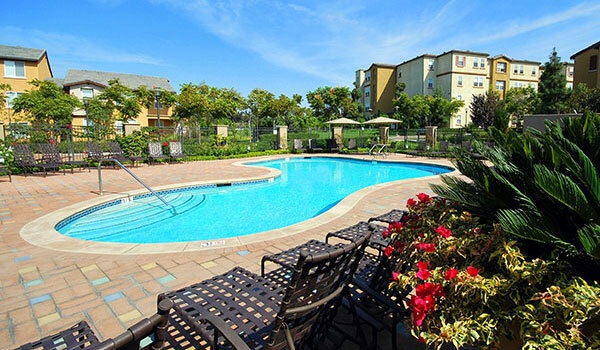 Our location is close to The Merage School of Business, on-campus and off-campus housing, state of the art fitness amenities at the Anteater Recreation Center (ARC) and a convenient array of restaurants and shops within walking distance. Most places on campus are only a 10 minute walk away. 2. What is the UC Irvine campus like? 3. What kind of recreational and cultural resources are nearby? 4. Is Irvine a safe community? 5. Will I need a car to get around? No! Within a ten minute walk from the Law School you will find two grocery stores, a pharmacy, a department store, a hair salon, a nail salon, a day spa, a clothing store, a movie theatre, two coffee bars, two pizzerias, an ice cream store, a yogurt store, and over 20 restaurants and food outlets featuring American, Korean, Italian, Japanese, Mexican, Indian, Vegetarian cuisines and more! Public transportation is also available to help you get around off campus. For more information about getting around without a car, please click here. LL.M. students will have access to our many job search resources, including UCI Law’s online jobs board, Symplicity and other job aggregator subscription sites, and the Career Development Library. 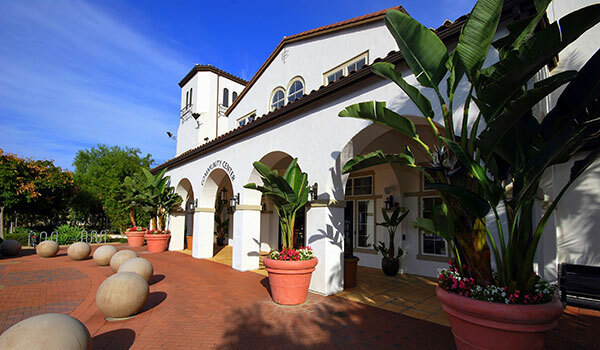 There are a lot of wonderful options when it comes to living in Orange County. To see more information about where our students live, view this guide. LL.M. 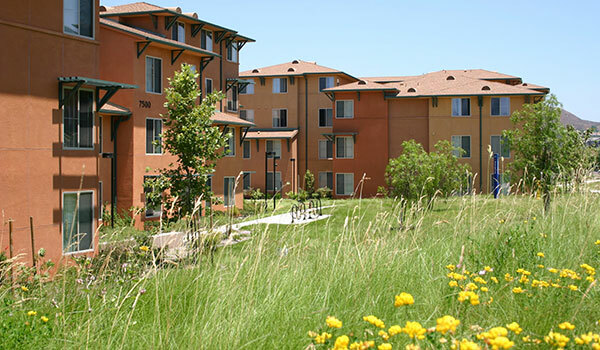 students who accept an offer of admission and submit a positive Statement of Intent to Register (SIR) for the upcoming Fall semester can apply for a guaranteed on-campus housing offer in one of our six on-campus communities: Palo Verde, Verano Place, Campus Village, Vista del Campo, Vista del Campo Norte, or Puerta del Sol. Learn more about these communities. Your leasing office should be the first place you go with questions, but if you run into any challenges feel free to contact our UCI Law LL.M. program by phone at (949) 824-5335 or by email at LLM-admissions@law.uci.edu. This course is designed to introduce foreign lawyers to the legal system in the United States and the fundamentals of American law. Students will learn about the basic structure and operation of American government, with an emphasis on how cases progress through the court system. The class will examine differences between the American common law legal system and civilian systems. Students will become familiar with foundational principles underlying the American legal system, such as judicial review, due process, equality, and others. In this course, foreign lawyers will learn how to research American law, how to perform common law analysis, and how to write research memoranda. Students will complete a series of written assignments throughout the term to practice these skills. 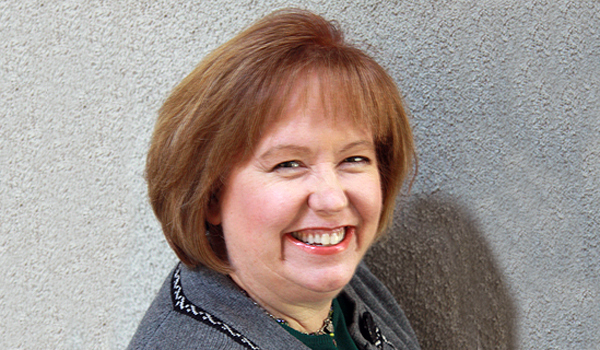 Instructors will provide extensive feedback via written comments and one-on-one conferences. This course will introduce foreign lawyers to the actual practice of law in the United States. Through a combination of simulated exercises, field trips, and other experiential learning activities, students will learn first-hand about what it might be like to work as an attorney in the U.S. Students will also continue to develop their research, analysis, and writing skills by completing various written assignments throughout the term. 12-16 units total, from the upper-division J.D. program. The LL.M. curriculum includes a broad range of classes from across the upper-division J.D. curriculum. Students will be permitted to choose a program that best suits their individual needs and interests with professional screening. Students should meet individually with the LL.M. Program staff to determine their course of study and receive guidance on issues including eligibility to sit for a U.S. bar examination. Students are required to attend an intensive and substantive orientation prior to the start of fall semester. This three to four-day orientation will cover an introduction to the American legal system, what to expect in law school classes, basic outlining and studying techniques, and other important topics for the new LL.M student. 1. Does the LL.M. program qualify students to take the California or New York Bar? 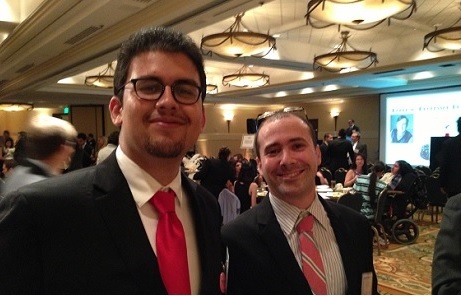 The program can qualify graduates to take the California, New York, or other state bar exam. Students should be sure to select courses that will allow them to take the bar exam of their choice, and it is each candidate’s responsibility to confirm that their first law degree(s) will satisfy the states’ bar admission requirements. For more information on bar requirements, please visit our U.S. Bar Requirements page. New students will receive additional information and counseling on qualifying for state bar exams during Orientation. 2. Are any part-time or distance learning programs available? No, we do not offer any part-time or distance learning programs. 3. Can I begin the LL.M. program in the spring? No, LL.M. students may only begin in the fall. We seek to create a community of LL.M. students from a broad spectrum, with strong qualifications and the greatest potential to contribute to the intellectual vibrancy of UCI Law. Qualified applicants will have been awarded their home-country law degree prior to matriculation in the program and must demonstrate English language fluency sufficient to engage in the rigorous study of American law. 2. What are the basic requirements for admission? International applicants for the LL.M. program must hold an undergraduate or graduate law degree (LL.B., LL.M., etc.) from a foreign institution, and have an acceptable TOEFL or IELTS score if English is not their primary language. Please see this list of minimum degree requirements by country. For more information on the specific components of the application process, please refer to the application instructions on our website. 3. The LL.M. application is available on the UCI website. Must I also apply through LSAC? No. You need only complete UCI’s online application, including uploading electronic materials as specified in the application. All hard-copy materials should be sent to the Law School. For more information on the application process, please refer to the application instructions on our website. 4. Is an interview required as part of the admissions process? Yes. Once you have completed your application, we will contact you to schedule a short interview via Skype or in person (if you are in southern California). 5. How will I learn whether I've been admitted? All admission decisions are sent by e-mail to the primary e-mail address you listed on the application form. If you are admitted, you will also receive a hard copy of your admission letter by mail. 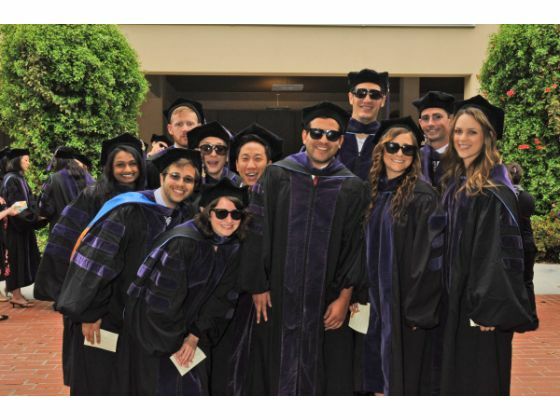 Classes at UCI Law are taught by a brilliant group of dedicated and welcoming faculty. Our faculty members are extraordinary scholars. A recent study ranked their scholarly impact as No. 6 in the country behind only Yale, Harvard, University of Chicago, New York University and Stanford. Equally important, they are also superb teachers and devoted mentors. This unbeatable combination makes UCI Law a unique, dynamic and diverse intellectual community in which to learn and grow. 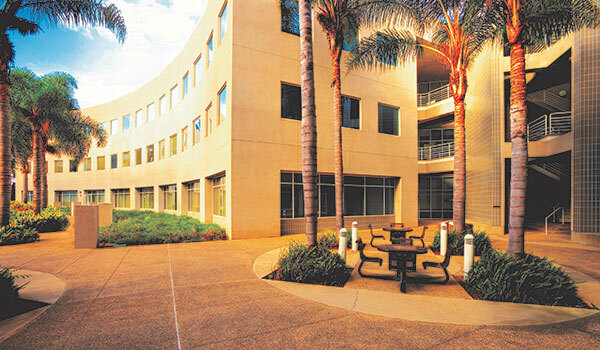 Our prime location in central Orange County, California ̶ one hour south of Los Angeles and one hour north of San Diego – makes UCI a highly attractive place to spend a year studying law. 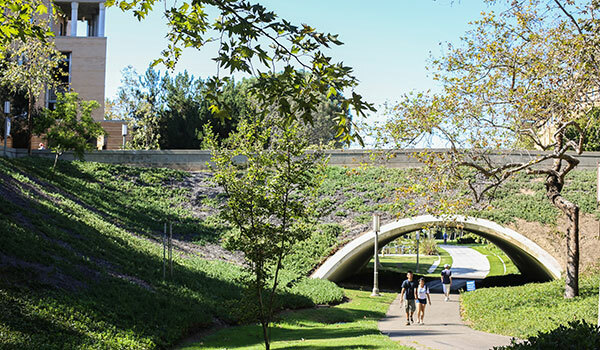 Located about 10 minutes from the beach, the UCI campus is situated in Irvine, California, which consistently ranks among the safest cities in the U.S. Among Irvine’s many benefits are its pleasant year-round climate and easy access to many cultural, entertainment and outdoor attractions. In addition, Southern California is a vast, highly desirable and sophisticated legal market home to prestigious international law firms, regional firms, and prominent public interest organizations. Orange County boasts a large and diverse economy home to some of the world’s largest companies as well as entrepreneurial small startups. The business climate offers emphasis in a myriad of sectors, including real estate, high technology, international trade, health care and life sciences. 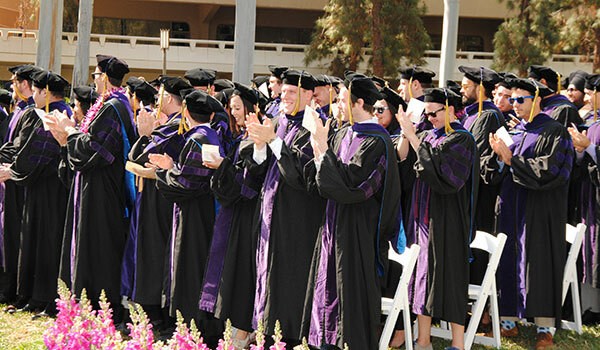 Individually and collectively, the faculty, staff, students, alums and friends of the Law School have made UCI Law a place of excellence and innovation in teaching, scholarship and public service. UCI Law had the highest ever debut ranking in U.S. News & World Report, and now is ranked No. 28 overall, No. 13 for Clinical Training, No. 23 in Legal Writing, No. 25 in Intellectual Property Law and Top 12 in Student Diversity. We continue to strive for greater feats of excellence in every way, every day…won’t you join us? My warmest greetings to you from sunny Southern California! There is no better place to spend a year studying for your LL.M. degree than here at the University of California, Irvine School of Law. After selecting a customized program of study tailored to your own unique interests and professional goals, you will work closely with our renowned faculty through small-sized classes in the advanced law curriculum. You will study alongside J.D. 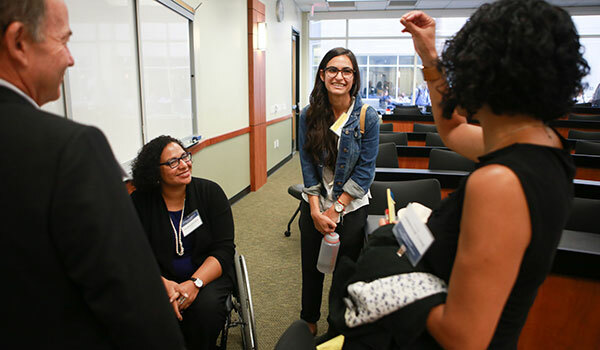 students in our wonderfully diverse law school community and thrive in the warm, collaborative atmosphere that has become a hallmark of UCI Law. You will gain unique insight into the practice of American law and public service through exciting opportunities for experiential learning. And this all takes place in Irvine – one of America’s safest cities – located midway between Los Angeles to the north and San Diego to the south, within easy reach of the many cultural, entertainment and outdoor attractions that Southern California has to offer. I am certain that your year spent at UC Irvine School of Law will be among the most enjoyable and transformative times of your life. You will leave here not only with the knowledge, skills and confidence to take you wherever your legal career path may lead, but also with an enduring network of friends and professional colleagues that will stay with you long after the program ends. Please email me if I can offer you any further information about our LL.M. program. My staff and I look forward to welcoming you to UCI Law! Our faculty members are extraordinary scholars. A recent study ranked their scholarly impact as No. 6 in the country behind Yale, Harvard, University of Chicago, New York University and Stanford. They are also superb teachers and mentors. Our student-faculty ratio is among the best in the country at 7:1 and the average number of students in an upper-level class is 11 – this enables students to have more individual time with faculty. We combine the best of a small, collegial and supportive environment with a large and renowned research institution. 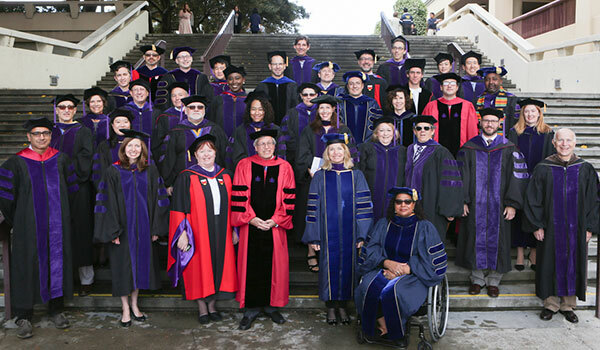 Moreover, many faculty members from across campus hold joint appointments in the Law School, incorporating breakthrough multidisciplinary scholarship into the UCI Law curriculum. Six of UCI Law’s faculty members are among the most cited in their fields: Erwin Chemerinsky is listed No. 2 overall in the country as well as No. 2 for Constitutional & Public Law. Dan Burk is listed No. 3 for Intellectual Property & Cyberlaw. Bryant Garth is listed No. 9 for Law & Social Science and Carrie Menkel-Meadow is also included in this category as a highly-cited scholar who works partly in this area. Christopher Leslie is listed No. 6 for Antitrust and Gregory Shaffer is listed No. 20 in International Law.